122 other birds have this item in their bag or wishlist! Welcoming the Rock Resin Bracelet from Greenwood Designs. With varying bright colours, these playful and edgy bracelets will bring some sunshine to your wardrobe. 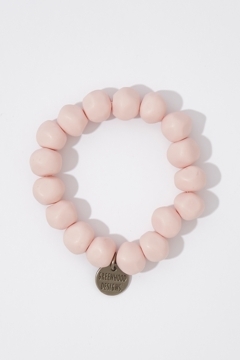 such a simple, bracelet with a modern vibe. This will get a lot of wear with me! Nice bracelet adds a bit of colour looks good with a few or a good present for a little one.